Product categories of Wooden Instrument Toys, we are specialized manufacturers from China, Wooden Instrument Toys, Baby Musical Instruments suppliers/factory, wholesale high-quality products of Wooden Musical Instruments R & D and manufacturing, we have the perfect after-sales service and technical support. Look forward to your cooperation! The interest in cultivating children can start from childhood, a variety of wooden musical toys can develop children's desire for art. A : Yes,we have designers. 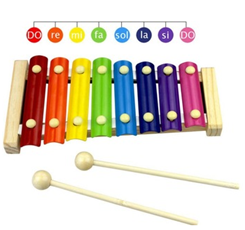 We have many different kinds xylophone wood toy, children gift xylophone wood toy is very popular.